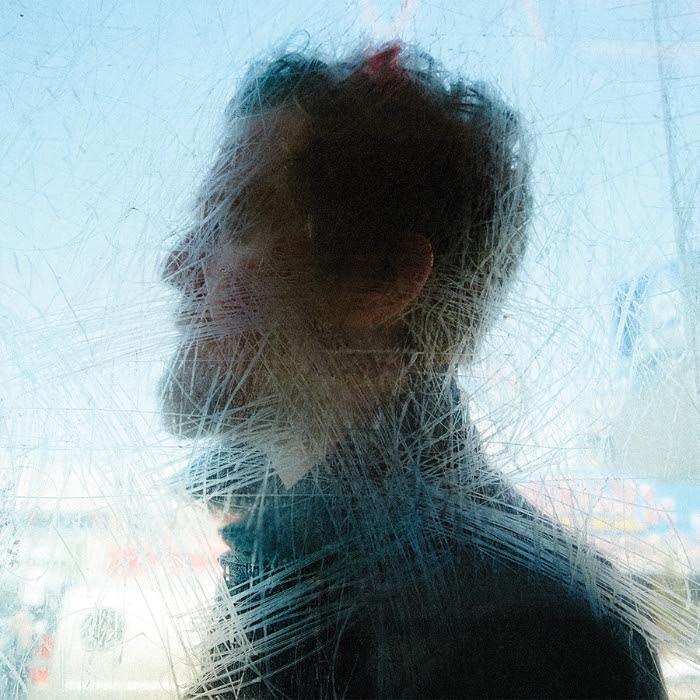 The great Glen Hansard has announced that on September 18th he will release his second solo album, Didn’t He Ramble on Anti-. Evidently, Doveman produced it, and Hansard received support from Sam Beam of Iron & Wine amongst others. Hansard has today offered up a winning sample via song Winning Streak and the video therefor. Hansard told NPR this about the song: “‘Winning Streak’ is simply a well wish to a friend, to someone who’s been finding it hard to see the goodness in their lives. It’s a pat on the back and an encouragement to try see the good and a blessing in the everyday. Each day we’re alive is a day we can reinvent or look at life from a different perspective. Nothing changes until we do, so it’s a song of encouragement to see these things and act on them.” Listen/watch below. The song’s timing is as perfect. Bravo! 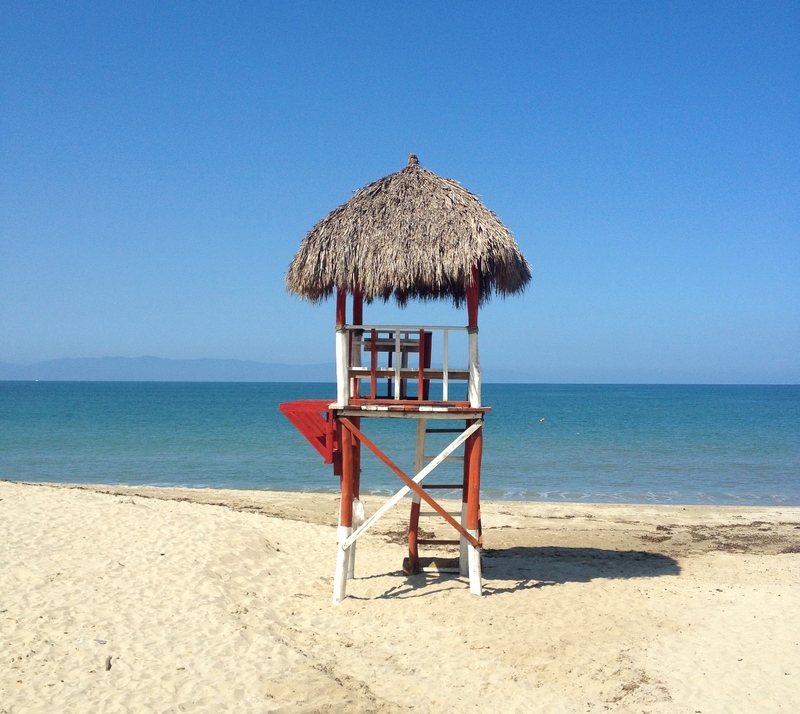 What the world needs now…. You can pre-order the album HERE. The additional good news about the album’s release is that Hansard (who is sublime in concert) will undoubtedly make his way to the States in support of the album. Get ye tickets. Glastonbury wrapped up last night. 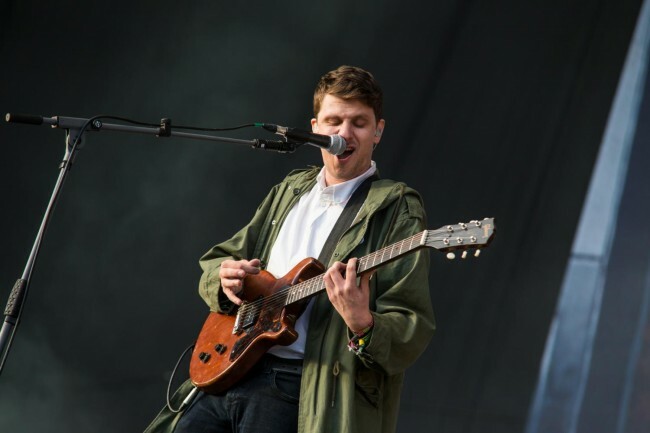 In honor, we give you the great Jamie T. performing his raving song Zombie off of last year’s phenomenal return-album, Carry On The Grudge. Matters really get wound up at the 1:13 mark in the video below! We loved his show at the Roxy last December. Hard to believe he could barely fill the Roxy in LA when he has such a huge following in England and elsewhere. Come on America, let’s go! 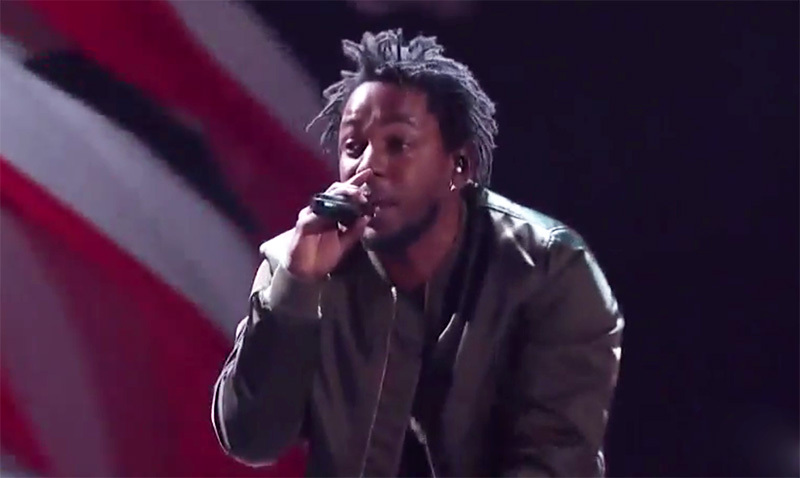 Kendrick Lamar took aim at the BET Awards last night and scored a direct hit with his performance of Alright off of one of the best albums of the year so far, To Pimp a Butterfly. Replete with police car, giant American flag, and an ensemble of seemingly millions, it was a powerful performance from an artist who is now expected to deliver the goods every night. Yet another enlivening showing from Lamar. Check it out. Courtney Barnett has a winning way with words, and never more so than on her recent song Depreston, which is on our short list for Best Song of the Year. Barnett is a master of lyrical irony and inflection (lyrics at bottom). Watch below as the Tonight Show craftily captured Barnett rendering the song solo. We are particularly struck on “Streaming Monday” by the closing coda: “If you’ve got a spare half a million, you should knock it down and start rebuilding.” Yeah, which musician doesn’t these days? I guess it wouldn’t hurt us. We don’t have to be around all these coffee shops. never made a latte greater. I’m saving twenty-three dollars a week. a man with his hand in a bag. How’s that for first impressions? (“or a lot of room for storage if you’ve just got one”). And it’s going pretty cheap you say? and a photo of a young man in a van in Vietnam. and I wonder what she bought it for. 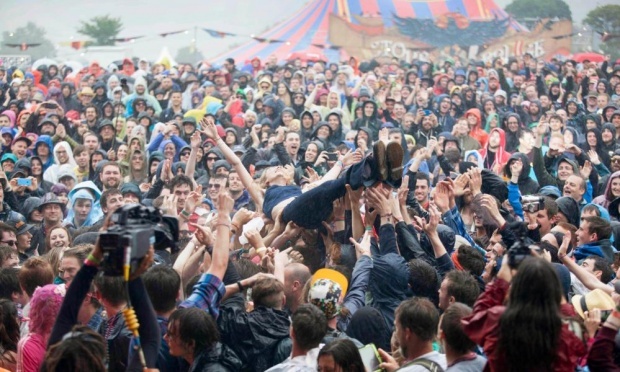 Glastonbury continues to its culmination in a couple hours. From the BBC’s collection, check out Mavis Staples, the Staves with Justin Vernon, Patti Smith, the jangly Alvvays and Palma Violets. Great stuff. It’s that time. 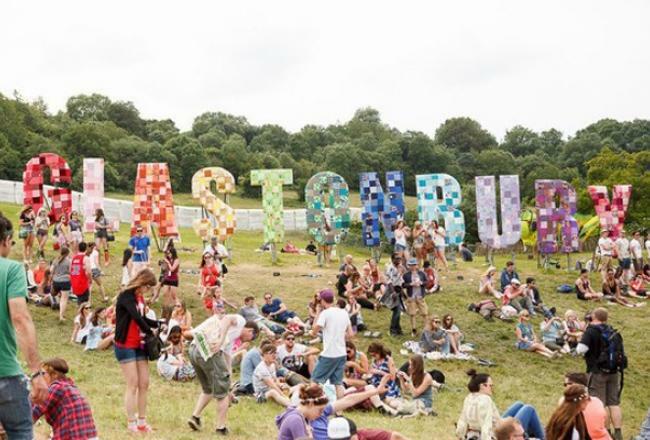 Glastonbury began on Wednesday and continues through this weekend. While there are no video streams available for we Americans (you know, still bitter over that Revolutionary War outcome), the BBC is doling out some tasty video tidbits. Having reviewed them all, below are our faves so far. First up is the critically-acclaimed Everything Everything performing their fantastic song Regret. In short, we have no regrets in watching the performance repeatedly. Super vocals, harmonies and playing from this band, which is one we need to suss out far more. And because she’s so perfectly different, check out new fave Kate Tempest’s superlative spoken word The Beigeness. “One man’s flash of lightning ripping through the air is another’s passing glare. Hardly there.” Indeed. Next up is our fave Sharon Van Etten performing the title track from her spectacular new EP, I Don’t Want To Let You Down. The vocals! Beauty right there. Next up is the big-top production of Florence + the Machine performing great new song Ship To Wreck. Florence has obviously recovered from that foot-fracture at Corpchella. Nice, bare-footed movement! Next up is Caribou performing their worldwide hit, Can’t Do Without You. Then check out Wolf Alice giving the Scissor Sisters’ Take Your Mama the full Stones-y treatment. Then check out Aussie Chet Faker’s performance of Talk is Cheap, replete with legendary Glastonbury sing-along. Next up is great young band The Districts ripping on their stellar song 4th and Roebling. And why not The Waterboys updating their seminal Whole of the Moon. 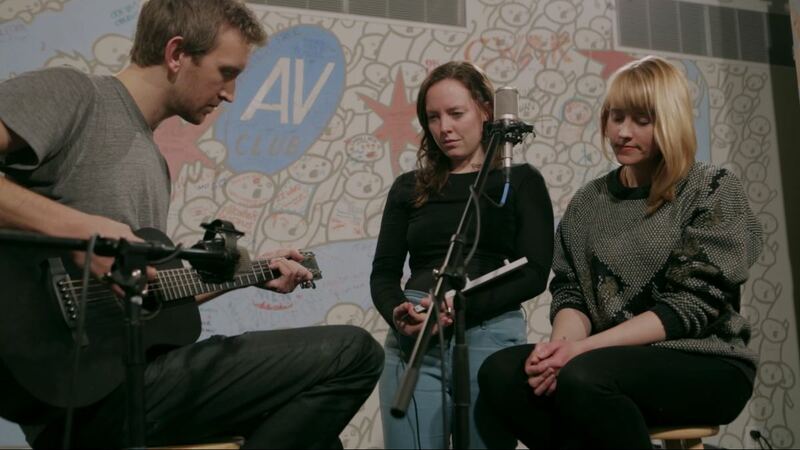 After, check out a beautiful acoustic version of the same song by the stellar Staves. 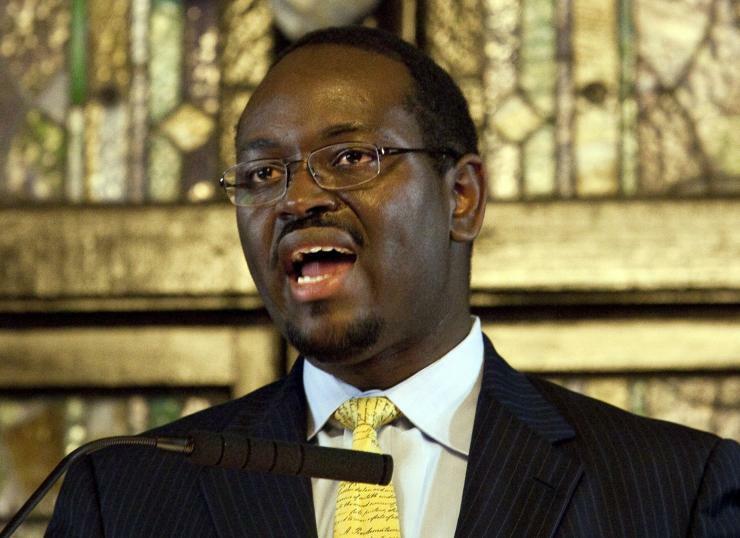 After Charleston, we’ve been away. Guarding our lives. Mañana turned into la semana. And here we are. But not here. Same as it ever was. Some things are looking up though. Against all odds. Here’s to your health and love. While we were away, we spotted some magical musical moments this past week. Below are our favorites from the week. We will confess that Lucero has never registered the highest on our rock n’ roll Richter scale. But perhaps we’ve been too hasty. This week the band released a new song that demanded repetition, if for no other reason than they braved to mention one of the all-time greats, Warren Zevon, in the song’s title. The band will soon release All A Man Should Do on Sept. 18th, and this week dropped the lead single, Went Looking For Warren Zevon’s Los Angeles. The song is a touching look back on life in music in the modern world. About the record, which also pays homage to The Replacements but especially Big Star, leader Ben Nichols said: “I was 15 years old in 1989. This record sounds like the record I wanted to make when I was 15. It just took 25 years of mistakes to get it done.” Stuff happens, and happened in spades to greats Zevon, Paul Westerberg and Alex Chilton along the way. Such is life. A great new song here from Lucero. Check it out below. In repeat news, great Omaha-punk band, Desaparecidos (Conor Oberst’s punk ensemble) has just released Payola, their first album in 13 years. 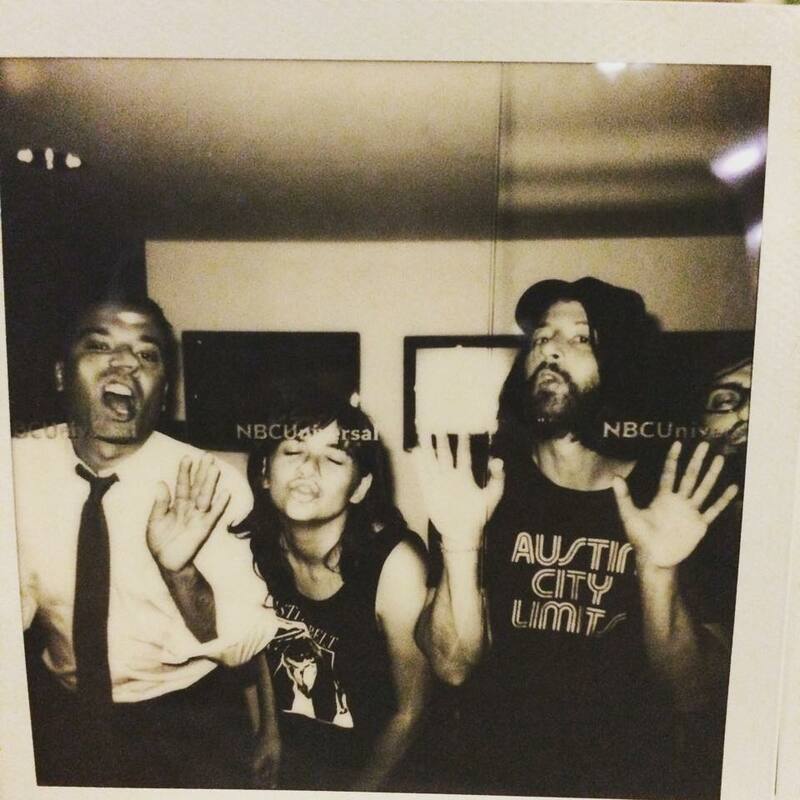 Watch below as Conor and crew slay the song, City On The Hill, on the Seth Meyers show. So good!! And then below check out different sounds from the punk rock band Titus Andronicus and lead singer Patrick Stickles. While we await the release of their new album, The Most Lamentable Tragedy, listen as Stickles and the boys yield a new song off the album, Come On, Siobhan, which pays tribute to the Irish sounds of the Pogues and Dexy’s Midnight Runners, with a sprig, in the chorus, of Stiff Little Fingers. But ultimately it is it’s own ode. We love this new song. They will come to Cali in September. Get your tickets HERE. Also the newly anointed Philly band, Hop Along, made the big time by appearin’ and killin’ on NPR’s Tiny Desk Concert, as witnessed below. We love everything about this band, but especially the indie-meets-Joplin vocalese of lead singer Frances Quinlan. Here’s to a long-life. The set list and times are below. Finally, the legendary Morrissey was to appear on Jimmy Fallon and, miraculously, did not cancel. News enough, but do watch below as he performs Kiss Me a Lot on the Tonight Show, and pay particular attention to (no, not that silly shirt) his pristine, never-miss-a-note vocals. So very good. The great Bill Fay has put out a new album entitled Who Is the Sender? It’s a masterpiece, bar none. Amongst the beautiful songs on the faithful Fay’s superlative album is A Page Incomplete. Honestly, we haven’t heard a more honest and forthcoming song than this. Who doesn’t feel unfulfilled? Incomplete? Though Fay could not have intended the song’s correlation, in the aftermath of Charleston, we have been listening to this song over and over. Who doesn’t hope for better? Let this song be a balm. “There’s an age up ahead, out of reach, of this one’s grip, there’s an age up ahead, out of reach of this one’s grip, this I have to believe, that this world has got to change.” Charleston? This world and the world beyond has got to change. Have mercy. Hearts on hold. We had lost track of A.V. Undercover’s great series in which they list songs and capture artists covering them. But today we stumbled upon one of the latest and best vignettes featuring our faves Sylvan Esso, combining with Wye Oak’s Jenn Wasner (hence “Sylvan Wasner“), to cover Gillian Welch’s brilliant ode to music piracy, Everything Is Free. We love their treatment on this devastating cover. To our ears it sounds like a eulogy for songwriters everywhere, and the soft-pulsing synth-sound emblematic of the weakening pulse of musicians everywhere. Thanks for piling on Apple. We’ve been big fans of Aussie Courtney Barnett since January 2014, but the world’s caught on and she’s been taking it by storm in concert in support of her new album Sometimes I Sit and Think, And Sometimes I Just Sit. She received raves at last weekend’s Bonnaroo, and showed up last night on Fallon’s Tonight Show (her second performance for Fallon following last year’s) lto perform the punked-up Pedestrian At Best. We will admit it’s not our favorite song of hers (that would be Depreston or Avant Gardener), but there’s no denying Barnett performed the song with passion and a vengeance. Check it out below.